Massivit 3D Printing Technologies is the leading provider of large format 3D printing solutions for visual communications applications. 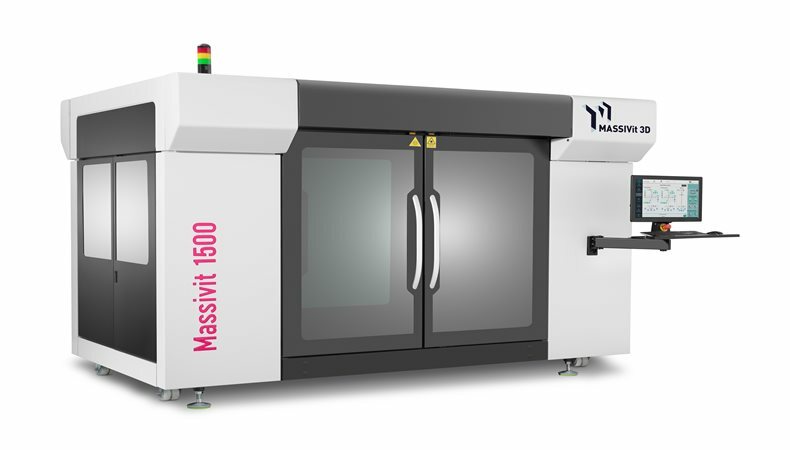 Massivit 3D has launched their Massivit 1500 Exploration 3D Printer. The Massivit 1500 offers an affordable, print show friendly solution for the large format 3D printing. By integrating 3D printed models/enhancements to existing 2D applications, printer providers can increase their product portfolio to offer innovative and ground-breaking applications. These include engaging POP/POS displays, illuminated signage and props as well as high endurance molds for cost effective thermoforming for the advertising, retail, entertainment, events and interior design markets. Due to Massivit’s Gel Dispending Printing technology, the Massivit 1500 can speedily produce lightweight, hollow pieces up to 1.45m /4.8ft high that can be joined together to create any size model or display. On top of integrating seamlessly in a print shop or industrial environment, the Massivit 1800 and 1500 models meets an increasing demand for greater customization in traditional signage and displays. This includes unique soft signage structures and attention-grabbing channel lettering. Usually traditional manufacturing methods require a long and arduous turnaround time, they are dependant on manual labour to produce metal applications and should iterations be necessary this usually increases the manufacturing costs. Since Massivit 3D’s solutions offer geometric freedom, sign business are able to transform soft signage and channel lettering into complex structures in a reduced time and cost compared to more traditional methods. For free entry use code FESJ801 when registering.